If you have already protected your mattress through the best quality mattress protector sheets. And all this makes you believes that your mattress are safe from any type of dirt or residue. But the fact we want to clean now is that, that this is totally a wrong conception of the mattress protectors. Mattress protectors are safe and a way to reduce the mattress from getting dirty. But does not assure a 100% mattress protection. Therefore what all you need to ensure your mattress health is to get it cleaned through the professional mattress cleaning services. It is because your mattress still requires cleaning since residue bugs, body oils, sweat, dead skin and other build up from pets and kids break through to the bedding through the protector. The most simple yet the latest technique method used by the experts to clean your mattress are steam cleaning process. After inspecting the mattress, our experts will dry brushes the mattress to remove any fluff and particle contaminants available from the mattress stitching. After the first two steps, and depends upon the observations recorded in the first step, we either choose Mattress Steam Cleaning method as mattress steam cleaning process or mattress dry cleaning process. Then accordingly our experts will choose the method according to the mattress condition. Steam Cleaning Method- Hot water extraction cleaning method is the effective method used in the Steam Cleaning. Dry Cleaning Method– In this method, very less amount of water is used for thorough cleaning. 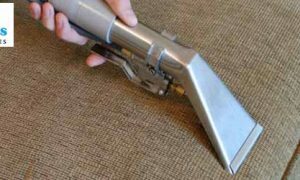 We vacuumed your mattress with a specialized HEPA filtered vacuum and then treat any spots, spillages and the infected areas on the mattress. Then we pre-condition your mattress by applying the gentle or ph. neutral cleaning agent. For light agitation, we use a special scrub to agitate the mattress. Then through our Steam extraction specialized machines which provide the extremely high temperatures to clean or sanitize your mattress. 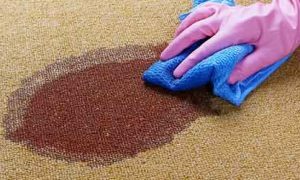 Further, during this process, we also run an anti-bacterial treatment cleaning agent to provide the complete and ensured clean mattress. We further apply the anti-allergen and deodorizing treatment to your mattress. After your mattress got cleaned, we will dry the mattress with the latest technologies used. Mattress sanitisation process is done to remove all the foul smells from your mattress. At this step, we use the fresh towels to wipe down the mattresses which also assist the drying process further in an optional process of fabric protection we protect the fabric of the mattress so that it can remain clean for a long period of time. The final step of cleaning process also concludes with the inspection of your mattress, where our experts will again check the mattress to comply with all company standards for providing you the 100% satisfaction. 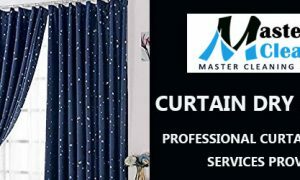 Now sleep freely in a sanitized and dust free environment only at Master Cleaners Melbourne.